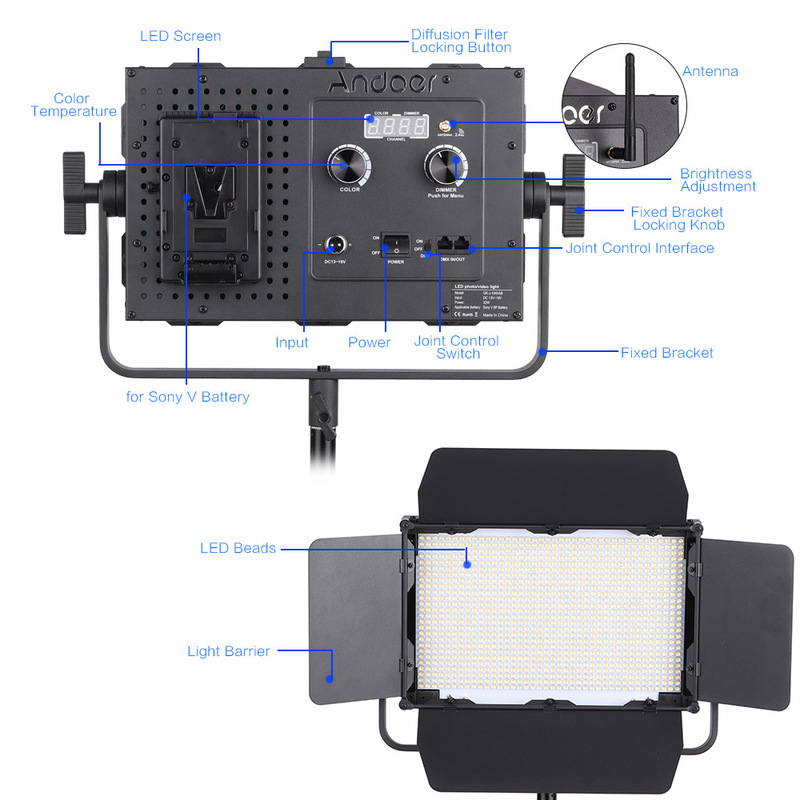 It adopts 1040pcs of LED beads, provides optimum illumination of 3840LM with 95+ CRI. 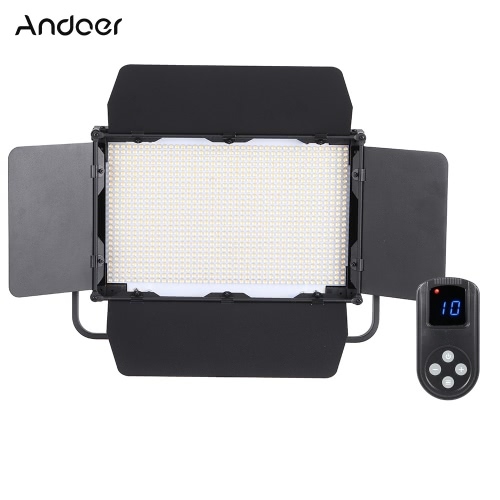 10%~100% stepless light adjustment enable you to adjust the light according to your needs. 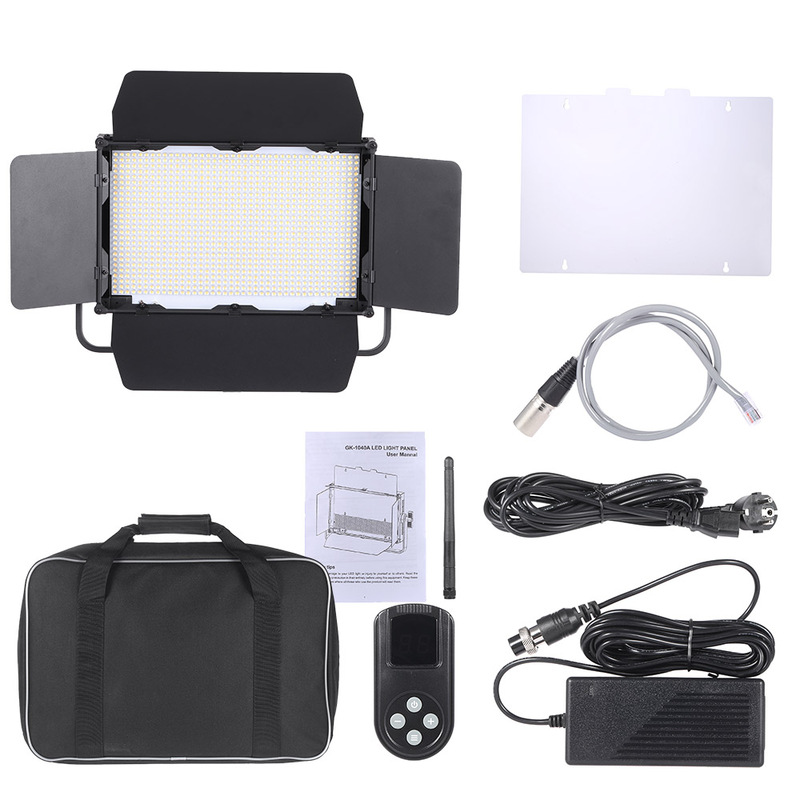 1040pcs of super bright LED beads provide optimum illumination, brightness can reach 3840LM. 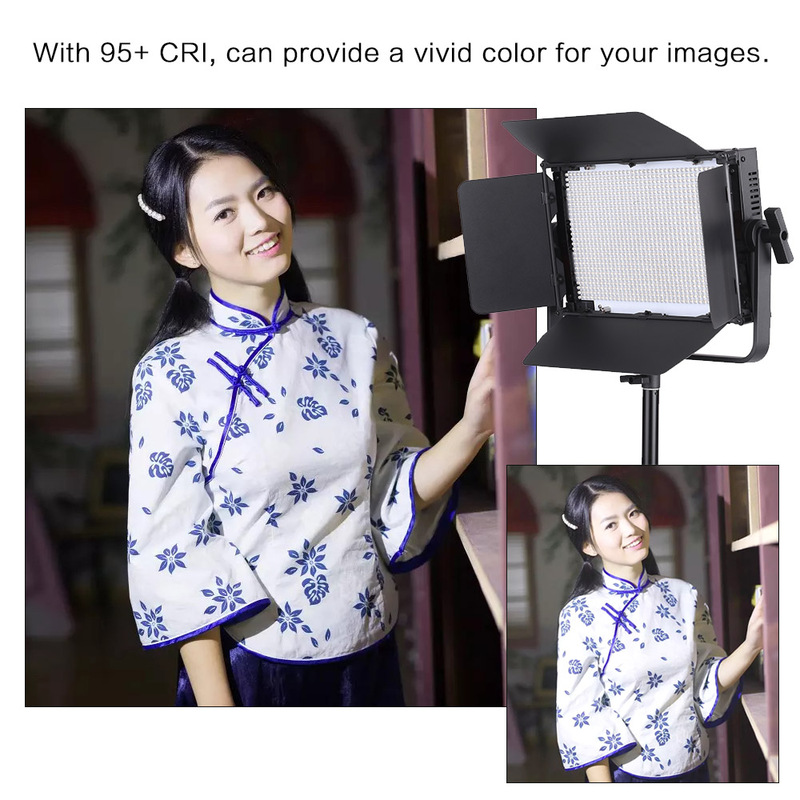 With 95+ CRI, can provide a vivid color for your images. 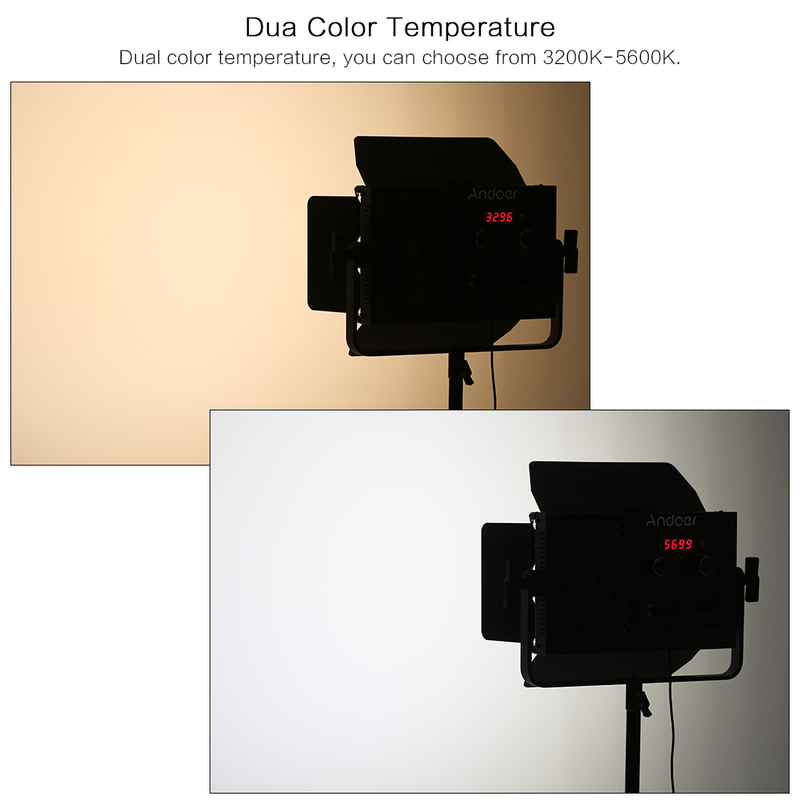 LED screen to show the color temperature and working status accurately. 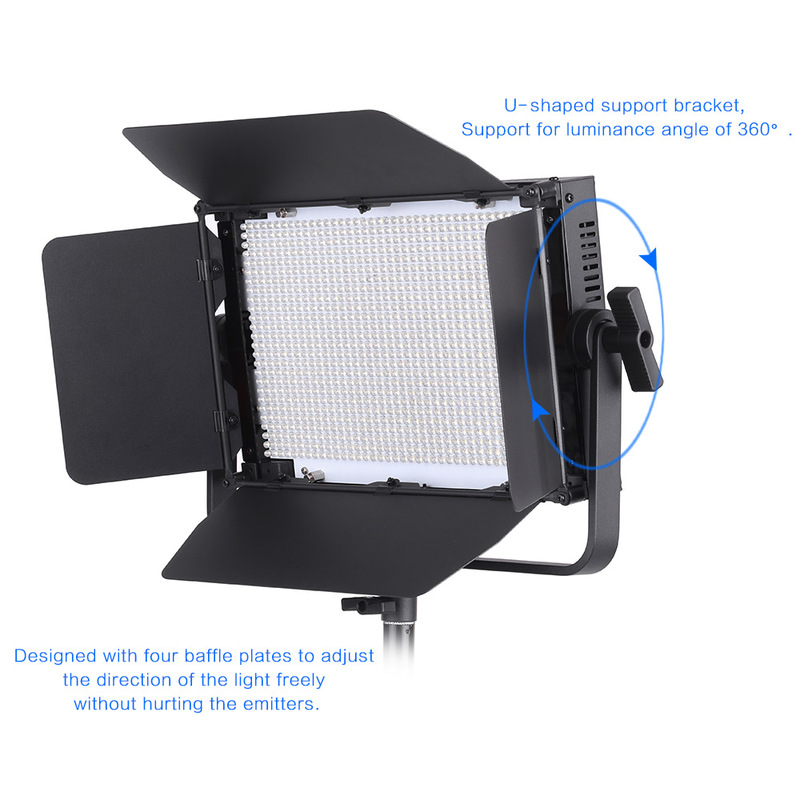 U-shaped support bracket, Support for luminance angle of 360°. Stepless light brightness adjustment from 10% to 100%, allows you to adjust according to your needs. Supplied with white color diffusion filter(designed with magnet to adsorbed on the light), to provide more soft and balanced light. Aluminum alloy shell provides better heat dissipation and antifraying. 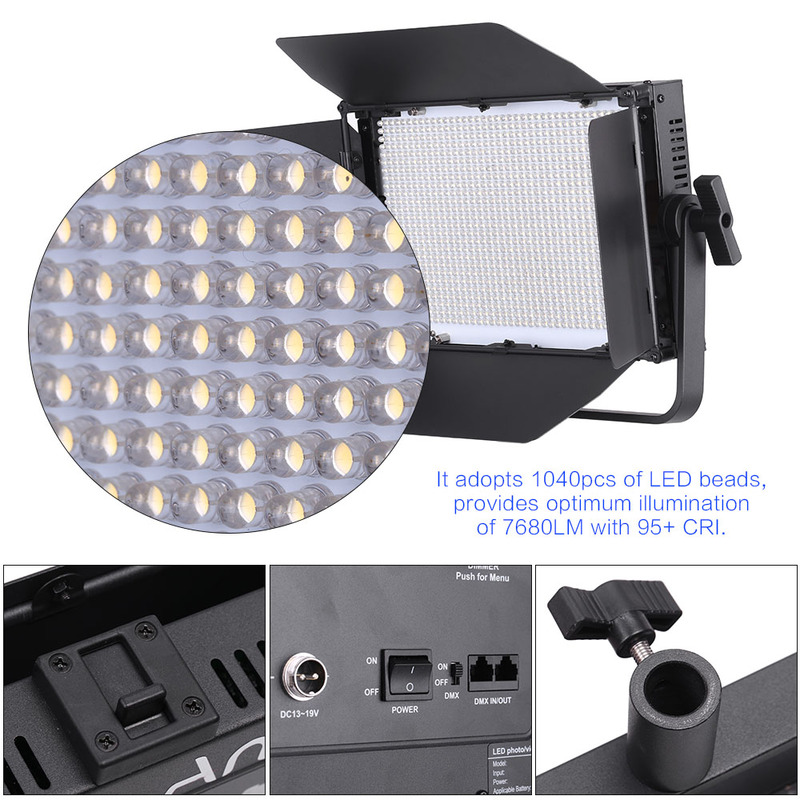 Comes with DMX512 interface, can install in series, ideal for studio photography. 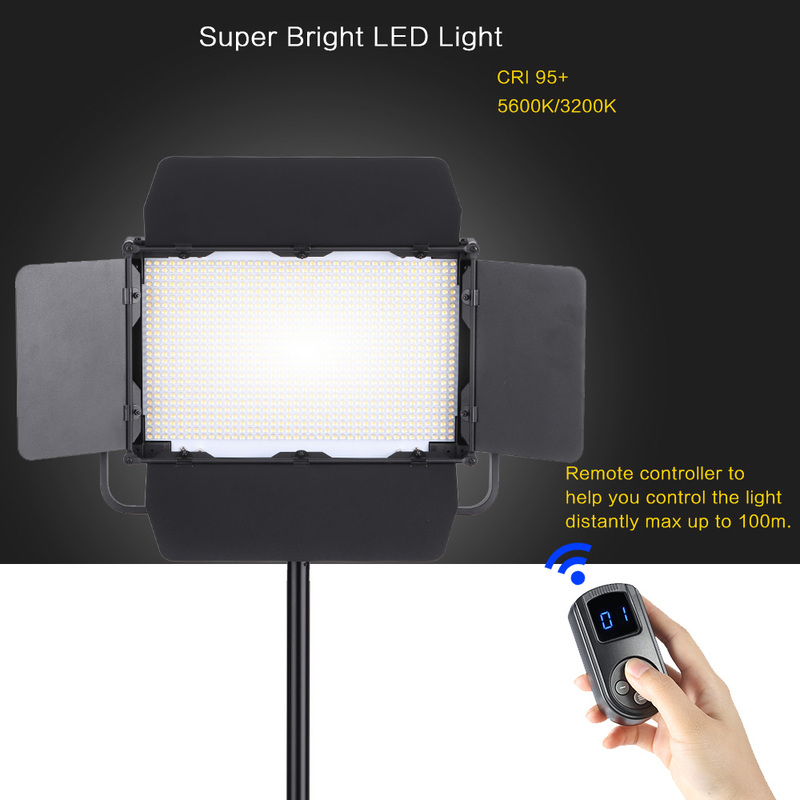 Remote controller to help you control the light distantly max up to 100m. Designed with four baffle plates to adjust the direction of the light freely without hurting the emitters. Equipped with a carrying bag, convenient for your outdoor photography.